Cleaning Wipes: The Greatest Innovation of My Adult Life? Oh sure, I remember window-cleaning hell all too well, and so do you. This product took drudgery and made it joyful. My lifetime dream of the perfect bathroom mirror is mine. Of course, at the time, I didn’t fully know how horrible it was. Now I do, thanks to the innovation of Window Wipes: disposable moist towelettes for cleaning glass. It solves a massive, lifetime problem/annoyance I didn’t know I had. Now I absolutely love cleaning mirrors, oven doors, chrome handles, anything that needs to shine. This product took drudgery and made it joyful. My lifetime dream of the perfect bathroom mirror is mine. Best of all, I didn’t have to do anything at all to bring about this new nirvana. I only needed to go to the store and throw down 4 bucks. I estimate that this gives me at least six months of flawless glass surfaces. And that’s only the beginning of what is happening in the entire wipe industry, which fundamentally changed the way we clean. It’s all happened in the 21st century, just another amazing life advancement that, so far as I can tell, no one has really celebrated. Windex wipes in particular were released January, 2011, a hinge of history. 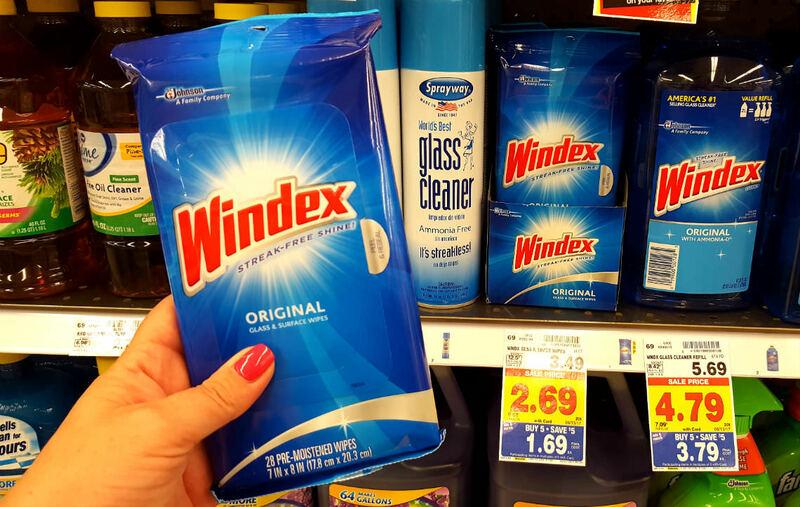 You have a window to clean and you have this product called Windex and it is in a bottle. You pump the handle and, at first, it doesn’t come out. Then suddenly it does. But it splats a bunch of blue liquid on your mirror. The drips are racing to the counter and crawling behind where you can’t get to them. So you act quickly to stop them. Then you wise up and realized you have to spray high up on the surface to account for gravity. But then you have to leap up to get to it and jumping is not the best way to realize a clean wiping motion. You work and work and stand back and look. Whoops, there is a blotchy residue everywhere. So you spray again, using the same rag. Now there is way too much liquid, so you rub and rub until you realize that this liquid is not like lotion on your skin. It does not absorb. It just smears. And now you are smearing the old muck back onto the surface. Then you try a “squeegee.” But do you really want to slog to the garage and get a special tool just to clean your bathroom?So you get a fresh cloth and start to rub. But this cloth was dry so it absorbs all the liquid, leaving none for actual cleaning. So you spray again, and the cycle repeats itself. At the end, you still have residue from your cloth. So maybe the problem is that you shouldn’t be using a paper towel at all because this only leaves a trail of paper dust to ruin the surface. Maybe you did what I did and tried newspaper, which legend once said was the ideal. You think: no way will this work because it will only spread black ink on the surface. It turns out that this does not happen and that is glorious. Newspaper works after all! But there is a different problem. Look at your hands. They are covered in black ink, all splotchy and awful. So now you have to go wash your hands, which you do. But then you forgot to throw away the newspaper after you used it to wash your windows. So you pick it up and get your hands dirty again, so you have to wash again. Now, to be sure, in the middle ages, this was not really an issue since mirrors were a luxury of the rich. Then you try a “squeegee.” But do you really want to slog to the garage and get a special tool just to clean your bathroom? And even then, you have to practice using one of these things. Seems more for cleaning professionals, whereas you are just an amateur. Frustrated, you look up: what precisely is the correct cloth to use when you wash windows? It turns out that you are supposed to use a “cheese cloth.” Oh sure, I have one of those sitting right here… because I make cheese all the time. Wait. No, you do not make cheese all the time, so, no, you do not have a “cheese cloth.” You have actually to go to the store to buy a “cheese cloth,” and you do that but now you need a special place to keep your special window-cleaning cloths which you otherwise use for nothing at all since you are a normal person and buy pre-made cheese at the store. And after you use them, you have to dry them out, and remember to put them away the next day. Eventually, of course, you get it done. You have joined generations of window cleaners in more or less achieving your goal but not without some suffering and annoyance. Being now aware of how truly hard it is to clean mirrors, you get extra careful about getting water drops on the mirror. So this changes the way you brush your teeth, shave, and wash your face. We now have glorious Windex Wipes in a small package. You finally master the no-drop technique, but then a guest comes over and goes to the wash room. He leaves, and you inspect the damage. Total disaster. You are back to the drawing board. There really has been no way around this. Now, to be sure, in the middle ages, this was not really an issue since mirrors were a luxury of the rich. The poor only found out how they looked if they happened to come across a reflective, still pond but this didn’t happen all that often. Mostly we were all left to guess, day to day, what our faces looked like. Others could see our faces but we could not. Finally in the 20th century, mirrors were common for everyone to have one in their homes, and glass cleaner eventually became available. But far from perfect. We had to wait 80-plus years to finally get it right. We now have glorious Windex Wipes in a small package. And I freely acknowledge the product forum complaints that the wipes are difficult to pull from the holder. Here is a paradigmatic case of Louis CK’s insight: everything is amazing and nobody’s happy. Let’s be clear here that this is not just about windows. It is about every surface in your house. The days of the pump bottle and the endless use of paper towels and rags are over. Now we have bottles with wipes in them for your two other favorite products: Lysol and Clorox. One is for cleaning and the other for disinfecting. There is an additional beauty here besides just convenience. With separate wipes, you are not spreading muck and germs from surface to surface. You reach for the dispenser, grab one, use it, and throw it away. Up with the wipe revolution! These products have vastly improved the quality of life on earth for all of us.Now, you can read about this and think: oh, this is no big deal. Just another product. Who cares? Actually, this is the very stuff of life. Cleaning surfaces is what we do. We do it constantly. Anything that makes it easier and more sanitary to achieve that it worthy of celebration. People speak about great innovations. Internal combustion. Moving pictures. Sound recordings. The microchip. Fracking. Blockchain. These are all amazing. But let us not forget about the small innovations that require as much creativity, inspiration, and also serve humanity in our daily lives. And consider the resource costs to make them. You grow the trees, harvest them, mill them, get them cut into paper cloth, and stack them. You have the chemical liquid which requires countless processes. Then you have the brilliant and clean packaging, which only took thousands of years of human ingenuity to achieve. Finally it lands at your local store, where you get the cloth for pennies each. How is this possible? It boggles the mind. Up with the wipe revolution! These products have vastly improved the quality of life on earth for all of us.